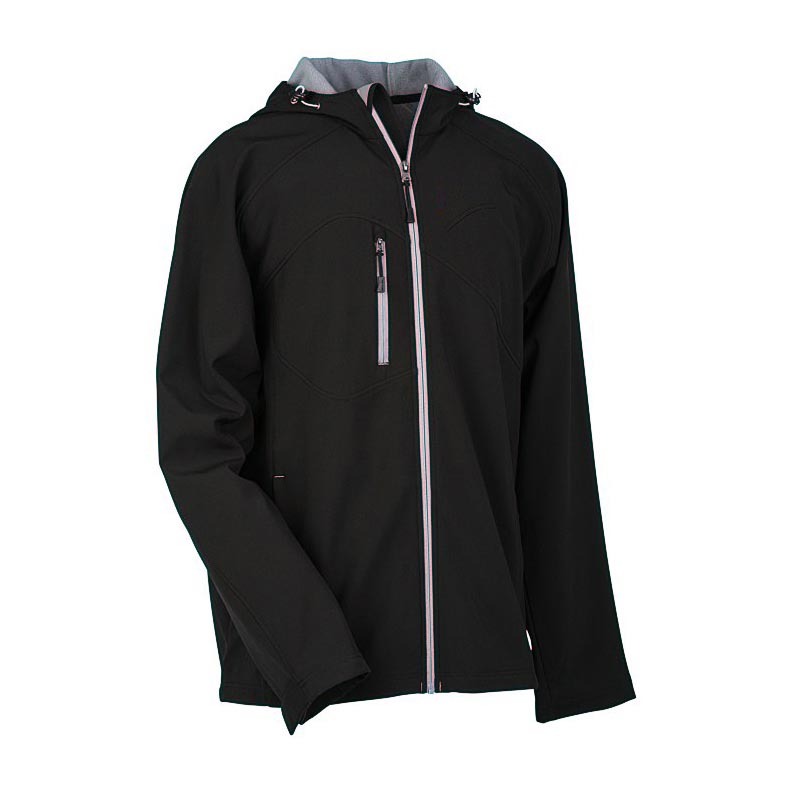 This comfy soft shell jacket provides superior coverage from the elements with its dual layers, attached hood, adjustable cuffs and drawcords at the hood and hem. Articulated raglan sleeves and spandex jacket material allow workers to move about in comfort. All other customisation of material, design and colour welcome.